British Gas has reported a profit increase of 11%: Taking its total revenue to Â£606m for the year. The firm said it had performed well up until the end of December last year in spite a weakened economy and increased energy costs - it also emphasised that the leap in profits was mainly down to the colder weather forcing people into using more gas. Centrica, the owner of British Gas, said that the cold weather had led to a 12% surge in gas usage, despite the fact that its actual customer numbers had fallen. In a statement discussing the latest figures, British Gas chief executive, Sam Laidlaw, said: "We have taken the lead during 2012 in helping more households save energy and supporting the people who need the most help. "It's important that Centrica makes a fair and reasonable return so that we can continue to make our contribution to society and to invest. "Last year we incurred a tax charge of over Â£1 billion and invested over Â£2 billion to secure new sources of energy for the UK, well in excess of our profits." As a member of government schemes such as the Warm Home Discount Scheme and Green Deal, the firm does offer customers subsidies on ways to make their homes more energy-efficient. Under the Green Deal for example, the firm offers people the chance to get cashback on the fitting of a new boiler in their home. 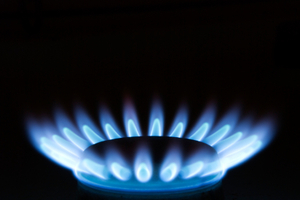 The announcement means British Gas has once again found itself under the spotlight concerning its rise in energy bills; the firm announced a six per cent rise in bills at the end of last year, hitting more than 8.4 million homes with higher energy bills. Pressed on BBC Breakfast to confirm whether the firm would make further increases to its energy bills this year, British Gas managing director of residential energy, Ian Peters, said: "I can't do that because the gas market is volatile. "But right now, as I say, it is very early in the year, we work in a very competitive market and it is not in our interest or our customers' to put prices up. So we will do everything we can not to do that. "What I want to say is that we will move heaven and earth to keep our customers' bills down. We have the lowest bills in the industry."